You see what I'm talking about? 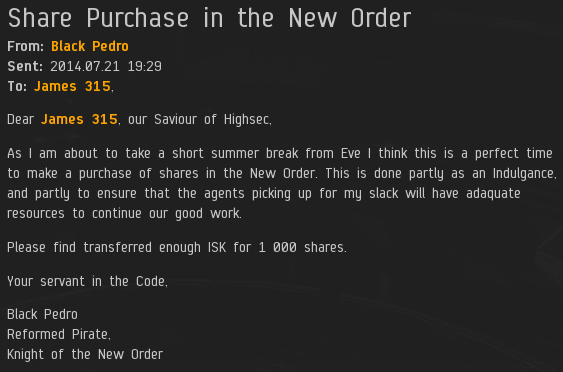 Black Pedro purchased 1,000 shares, sending us past the 386 billion isk mark and earning him a Supreme Protector's Tip of the Hat™. A pretty clever move, I must say. Setting a great example to us all.